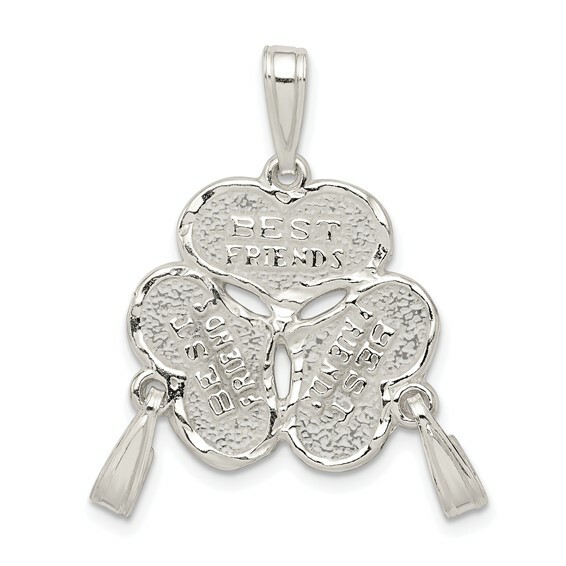 3-piece best friends hearts charm is made of polished sterling silver. Item measures 3/4 inch by 3/4 inch without bail. Break apart the charm and each friend wears one. This item is not engravable. Weight: 1.75 grams. The item did not come apart easily but the customer service was great!